I peddled hard along the 3 kilometres of road works not wanting to hold up traffic. I needn’t have bothered the only one waiting at the other end was Joe. It was cold but clear, with a gentle breeze coming over my left shoulder. I was on a highway with no one on it. Only the occasional road train, which I could hear coming: The low guttural sound building, like one of those Tibetan Buddhist chants. After yesterday’s experience, I just move off the road and give them all the room they want. Thinking of things Buddhist, I meditated on the nature of impermanence today, nothing like a near death experience to focus the mind. It’s easy to say that every day is precious but it really is. Although I appreciate that it doesn’t always feel like that. By mid morning cloud began to build behind me, so, inspired by the Tour de France, I made my own break away. Keeping just ahead of the front/peloton, while the odd shadow of a cloud would race past me up the road, making its own breakaway. As well as playing tag with shadows, I drew in that fresh aroma that comes after a storm. 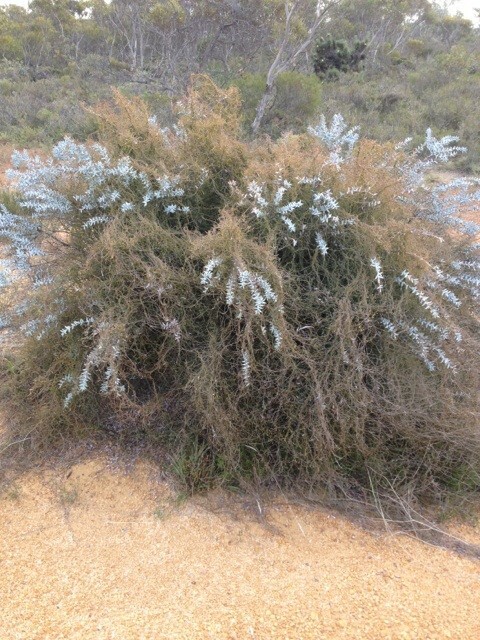 Stopping to smell the plants, one wattle in particular smelt like freshly baked bread, another low shrub smelling of honey was all abuzz with Australia stingless bees. Well that’s what I think they were, besides they didn’t sting me! My personal totem, those glorious, raucous, pink galahs, wheeled and screeched through the sky, keeping me company. 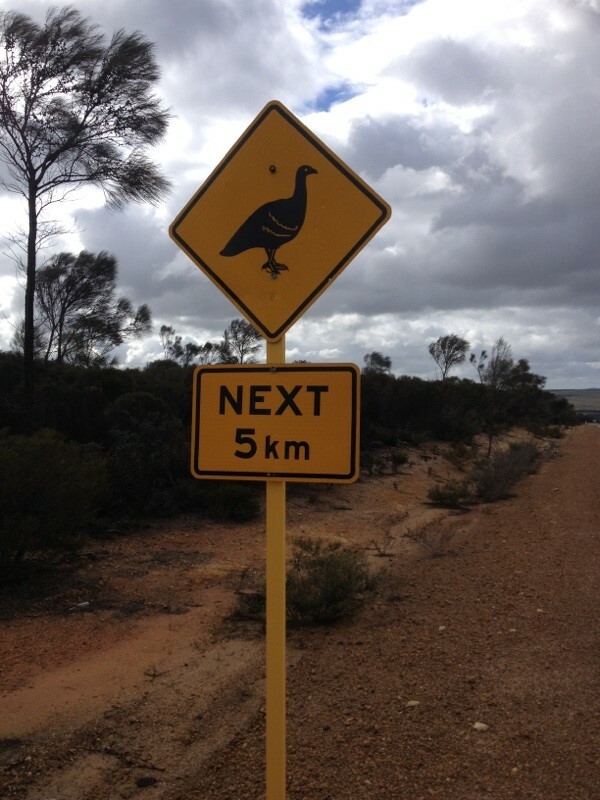 I saw a road sign indicating mallee fowl, but I didn’t see any. I did see a small flock of magpie geese though. On my left was mostly bush with the occasional sheep or grain pasture, while on my right was the Fitzgerald River National Park and River Catchment. The road rose and fell quite a lot through this country and I found myself running through the gears, getting the most out of the days cycling’ even if I was a little sore in my left knee. Funny, I didn’t even notice it yesterday. 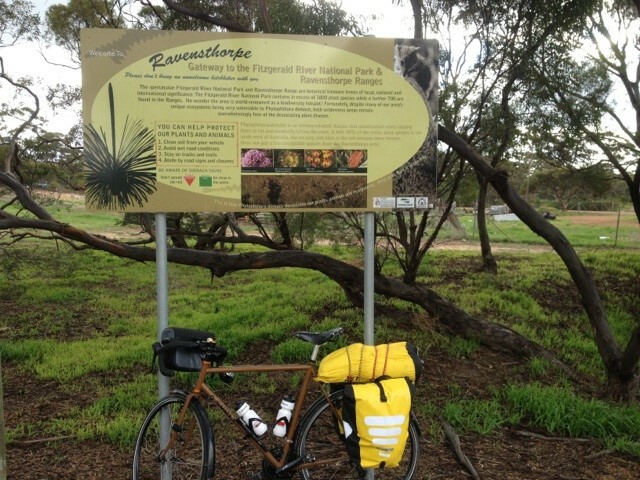 I rolled into Ravensthorpe just on 2 pm. I visited the visitor centre as visitors do and picked up a great Nullarbor map for free, along with some great information about the road ahead (thanks Kate). 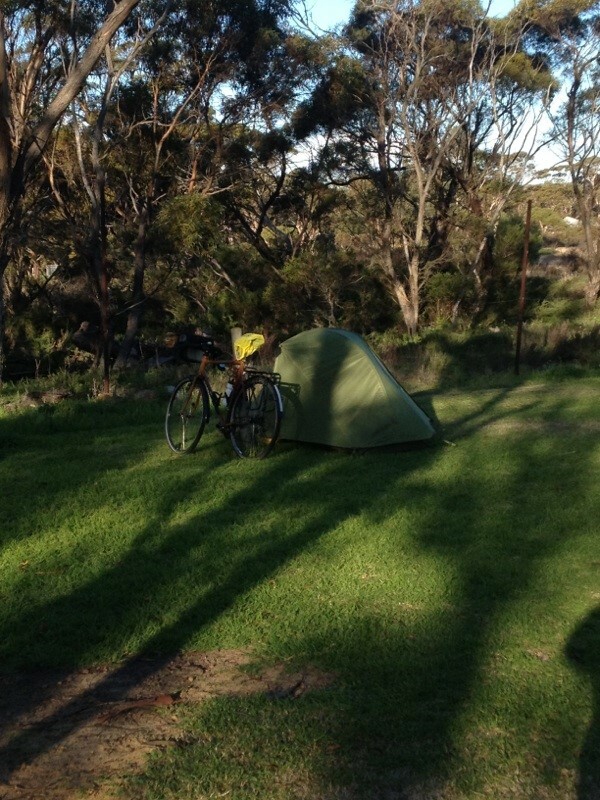 Early camp set up at the Ravensthorpe Caravan Park ($12.00), I wrote a postcard to mum, then did a bit of shopping for tomorrow nights free camp at Munglinup or Stokes Inlet, followed by Esperence. That’s great David and Ann-Maree the weather should be less cold then. Glad you like the blog. 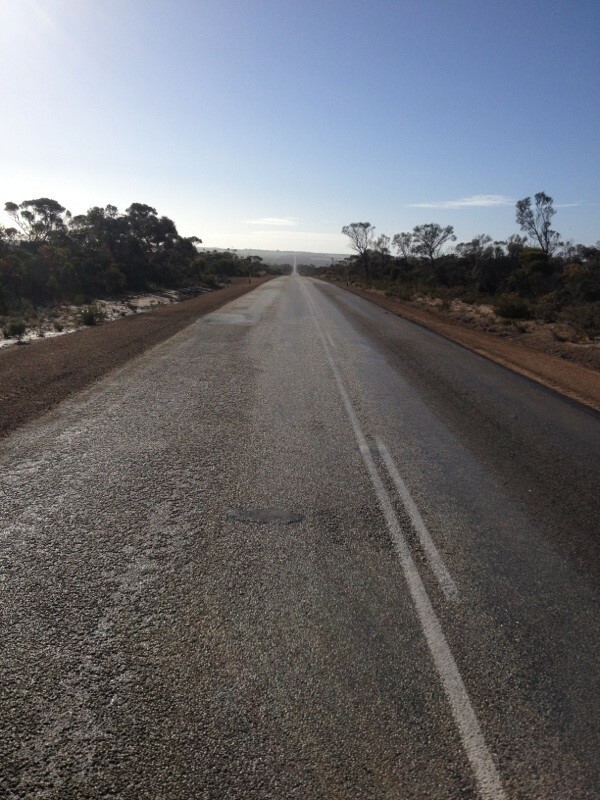 Dear Tour De Oz, Hope today has been good and you enjoy Esperance although this time of year it’s hardly the pumping metropolis of the summer months. That’s probably a good thing. Don’t know if you know about it but Fraser Range is about 100km east of Norseman and is a little oasis in amongst a lot of red dirt. 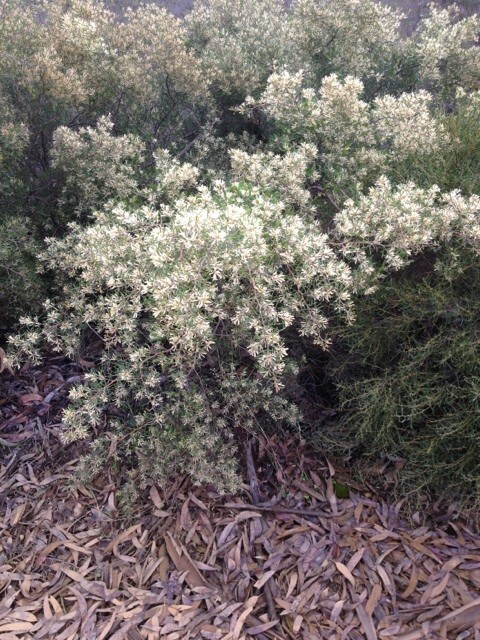 Great for camping and trees full of bees feasting on the nectar. You’ll need to take your own food though but the rest of the facilities are great!! Oh, and maybe wear ear plugs when you go to bed if you do stop there, as the helicopter tends to take off at about 6am and you’ll think the world is ending the noise is sooooo loud. Keep riding, keep blogging. And keep away from those bloody road trains.